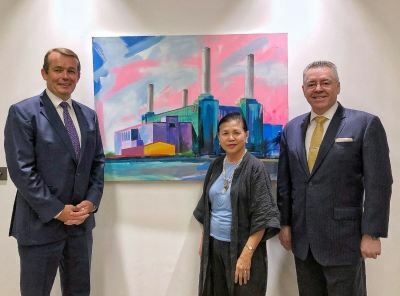 David Stringer-Lamarre, MD of FortisCL, within his role as an Executive Committee member of the British Malaysian Society (BMS) was pleased to attend this special visit to the Battersea Power Station redevelopment project. Simon Murphy the CEO provided a detailed and highly informative presentation on the history of the project and its present position. Simon led the group through the various phases of the development project, it place within the Battersea and Nine Elms area, engagement with the local community and the mixture of commercial & residential stock. This was followed by a question and answer session. 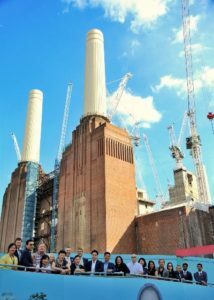 A tour of part of the development followed where members of the group and the Battersea Power Station Development Company (BPSDC) interacted.